Beatlemania continued its invasion worldwide with exclusive press events at Modern Pinball NYC with Cousin Brucie, and a preview event in London at The Brunswick powered by Electrocoin. We’ve also landed on the official Beatles Facebook page, reaching 37+ million followers with this timeless machine! The official Beatles Pinball Launch Party list has also been set. Check out the final list and location nearest you for your chance to win an official Beatles Pinball Launch Party trophy and other various prizes. This is hosted in conjunction with the IFPA (International Flipper Pinball Association) and the Stern Army. Official launch parties can only be held at Stern Army locations! For more information on joining the Stern Army please e-mail SternArmy@sternpinball.com. Congratulations to all of the players and winners from the most recent Stern Pro Circuit events! Escher Lefkoff won the Free Play Florida Pinball Tournament and Jason Werdrick won the OBX Flippers Fall Tournament. There’s only 1 event left on the 2018 Stern Pro Circuit calendar. Who will be the 40 finalists competing in the Stern Pro Circuit Final next March? 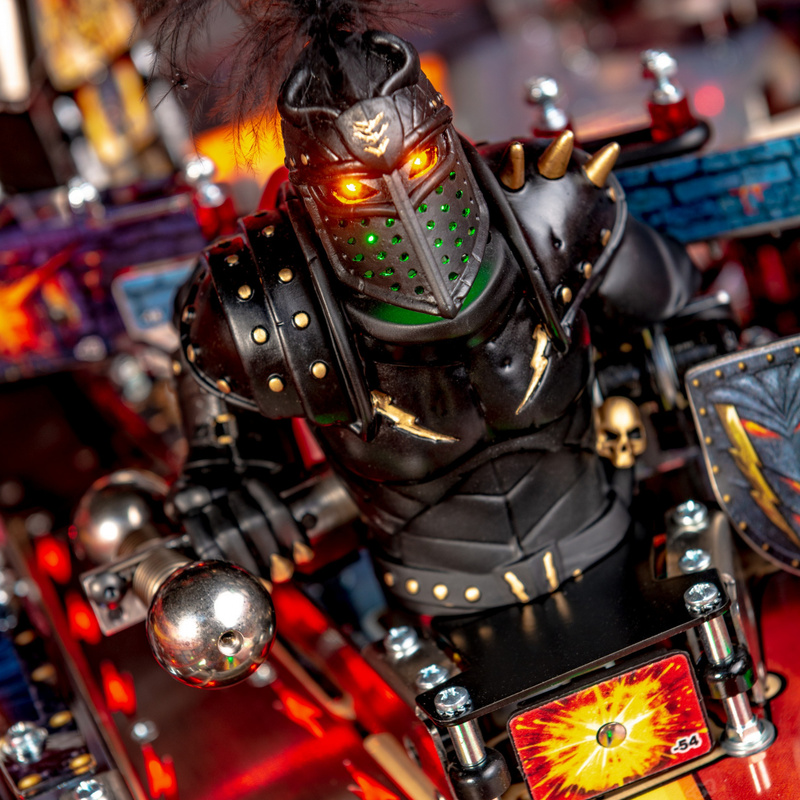 Acting as an ambassador for all of pinball past and present, Stern Pinball CEO Gary Stern was present for the game of pinball being inducted into the National Toy Hall of Fame! Matic Entretenimento officially went live as an official Stern Pinball distributor and manufacturer. Check out this video of the production line and first pinball machines manufactured in Brazil! Pinball and College Football? Make sure to set your DVRs and record this year’s Makers Wanted Bahamas Bowl, Friday, December 21 @ 12:30pm ET to see for yourself! Ask George! On Wednesday, December 12th at 3pm CST, ask Chief Creative Officer and designer of Deadpool, George Gomez anything! Leave a question on this Facebook post as a comment, and we will select the top questions to ask George LIVE on the Stern Facebook page! In 25 random Pro and 25 random Premium Iron Maiden pinball machines being shipped this holiday season, you might receive a random little gift from Eddie! It could be a limited edition lithograph print, an exclusive comic book or a Keith Elwin/Zombie Yeti signed foiled print. Unbox your Iron Maiden machine and see if there is an extra surprise for you! Just like Aerosmith, another exciting software release from Lonnie and his team with the absolutely massive KISS code update! We hope you have a happy KISSMAS and are enjoying this huge game changing update! Batman 1.0 is here and to help celebrate this milestone, stay tuned for an upcoming Dead Flip stream soon with some special guests on hand! Deadpool – Another update is in the works and is scheduled to be released later this month. Ghostbusters code update is delayed, but remains in our schedule. Just because a game isn’t listed on here doesn’t mean there can’t be surprises from time to time. We hope you enjoyed the gigantic Metallica code update last month! If you would like to join our mailing list for code updates, please e-mail Updates@sternpinball.com to sign up. The Deadpool art blades, shooter knob and side armor accessories are now available, with the toppers coming soon. The Iron Maiden art blades, shooter knob and side armor accessories are now available, with the toppers coming soon. The official Stern Pinball Dust covers are now available for purchase. The physical model for the Star Wars topper has been approved, but is waiting on documentation final approval before production can begin. We’ll make a formal announcement once it’s available for sale. “Hello pinball friends! My name is Joshua Clay and I’m a technical artist here at Stern Pinball. Prior to joining the Stern team earlier this year I worked as a freelance illustrator, tattoo artist and fine artist for 15 years. As a freelance visual artist I’ve created album covers and tour posters for bands like Gym Class Heroes and Linkin Park, animated music videos for Fall Out Boy and All Time Low, book illustrations and merchandising designs for Head from the band KoRn and Nine Inch Nails as well as showing my artwork in galleries around the world, winning several awards and publications for my tattoo work.